Take the Pledge to Text, Save, and Share the Contact Information for Poison Control! Did you know that poisoning is the leading cause of injury-related death in the U.S.? It’s true- more people die of poisoning every year than even gun or car-related injuries. 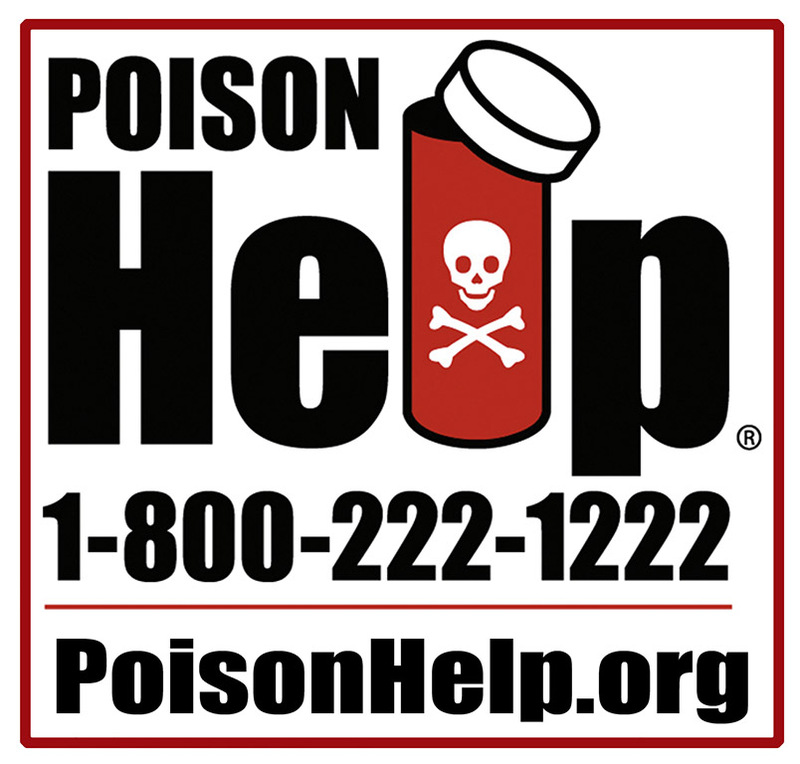 The most important tool we have to help combat poisoning is the national Poison Help phone number, 1 (800) 222-1222. Clinical experts like nurses, pharmacists, and physicians who are specially trained and certified in toxicology answer the phone from the nation’s 55 poison control centers to help people who have poison-related questions, concerns, or emergencies. Best of all, anyone can access this invaluable resource any time around the clock, every day of the year, for free! Do you have the number for poison control saved in your phone? Do you want your loved ones to have it in theirs? During National Poison Prevention Week, take the pledge to TEXT “poison” to 797979, SAVE the poison control contact information in your phone, and SHARE it with at least 3 of your contacts, and on Facebook and Twitter! TEXT the word "poison" to 797979 to get a link for poison control's contact information. SAVE poison control's contact information in my mobile phone. SHARE poison control's contact information with at least 3 contacts in my phone. SHARE this information on Facebook and/or Twitter. * We want to track the success of our pledge! Please at least provide your first name, city, and state. AAPCC will not use or share your contact information with any other party without your consent. * Would you like to receive your local poison control center's e-newsletter and/or "Poison Control Today," AAPCC's e-newsletter? AAPCC and your local poison control center will not share your email address with any other party. You can cancel your subscription(s) at any time. Check all that apply. No thank you! Please do not subscribe me to any newsletter.